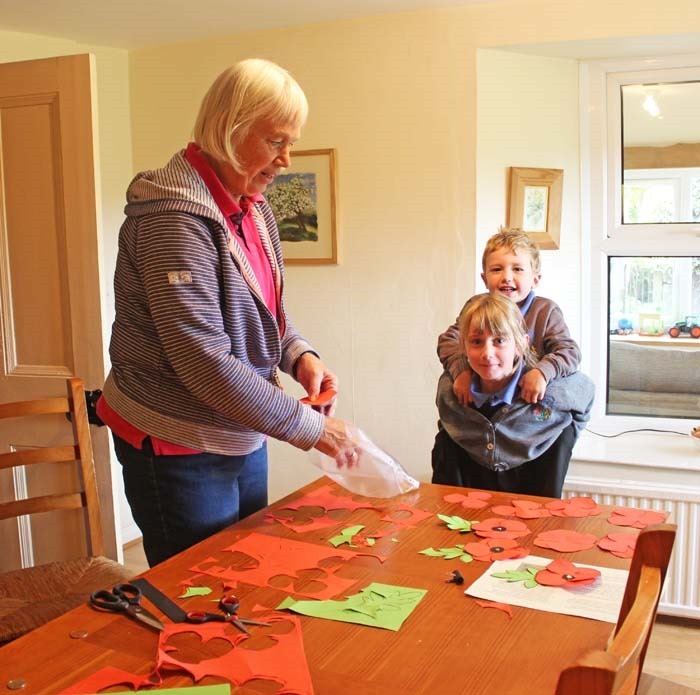 The aim is to create a ‘waterfall’ of 1,000 poppies to cascade over the altar of St Andrew’s Church, Aysgarth, during the community’s Festival of Remembrance from November 9 to November 12 to commemorate the signing of the Armistice in 1914. 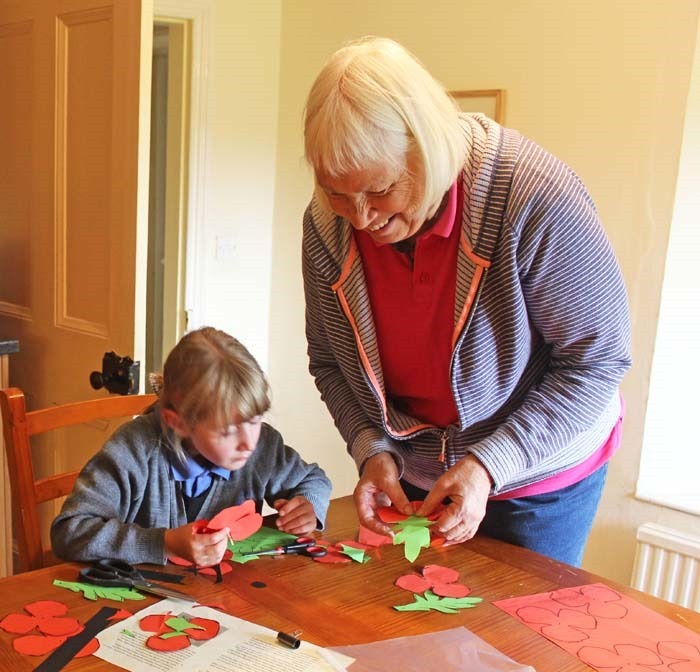 People throughout the parish of Aysgarth (which includes Bishopdale, Carperby, Thoralby and Thornton Rust) have been making the poppies, ranging from a 96-year-old to a four-year-old. 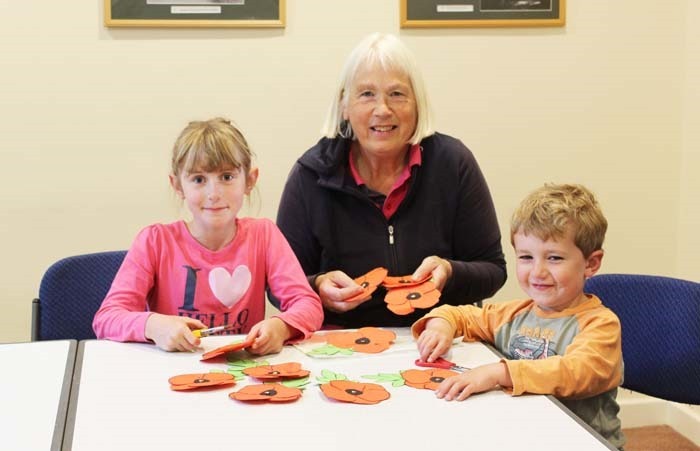 Local Knit and Natter groups and the WI and Penhill Ladies have added to all the poppies being made by Anglicans, Methodists and Catholics and many others. Many of the poppies will be dedicated to a member or friend killed during the 1914-1918 War or wars since then. The ‘waterfall’ will take a team of volunteers a couple of days to create just prior to the festival because each poppy will bee individually attached to a background made of hessian – a fabric which references to the use of sandbags during WWI. Andrew Hawkins of West Burton, whose great grandfather was killed at the Somme, is making the frame for the waterfall free of charge. 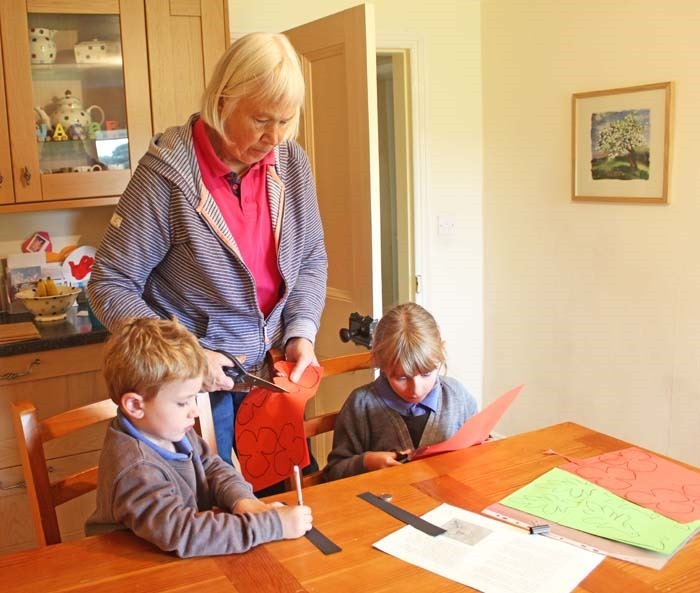 There will be a poppy dedicated to every soldier named on the parish war memorials plus some more which have been found by Penny Ellis for the new Roll of Honour which will be on show at the festival. It includes not just The Fallen but those soldiers who returned to the parish after the Great War, and also the women who served as nurses. There will be a Book of Remembrance at the festival in which the names of those for whom there are dedicated poppies will be recorded. The festival organisers are very grateful to Richmondshire District Council’s Upper Dales Area Partnership and Aysgarth and District Parish Council for grants towards the cost of the Festival, and to RCP Parking Ltd for free parking at its Church Bank car park for all Festival visitors.